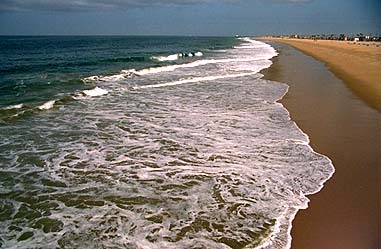 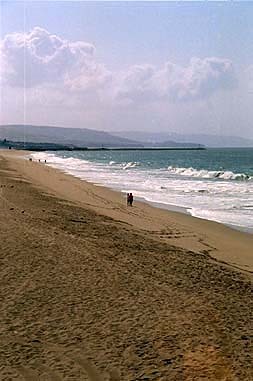 The ocean beach on the Balboa Peninsula, taken from the Balboa Pier. 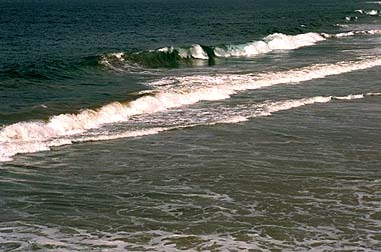 The ocean shore. 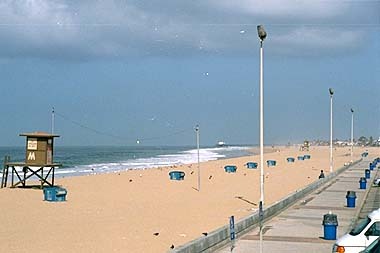 In the background is the breakwater that protects the entrance to the harbor. 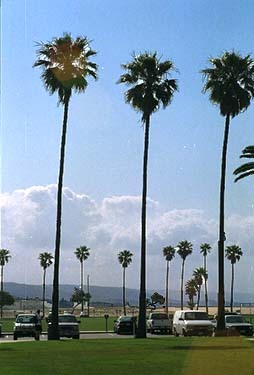 Palms in the wind on the Balboa Peninsula (taken from the pier).